The Oldowan Tradition (also called Oldowan Industrial Tradition or Mode 1 as described by Grahame Clarke) is the name given to a pattern of stone-tool making by our hominid ancestors, developed in Africa by about 2.6 million years ago (mya) by our hominin ancestor Homo habilis (probably), and used there until 1.5 mya (mya). First defined by Louis and Mary Leakey at Olduvai Gorge in the Great Rift Valley of Africa, the Oldowan tradition is to date the earliest manifestation of stone tool making on our planet. 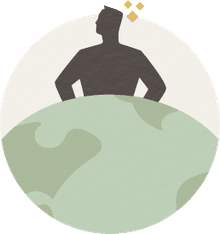 Further, it is global in scope, a toolkit thought to have been carried out of Africa by our hominin ancestors as they left to colonize the rest of the world. To date, the oldest known Oldowan tools were found at Gona (Ethiopia) at 2.6 ma; the latest in Africa is 1.5 mya at Konso and Kokiselei 5. The end of the Oldowan is defined as "the appearance of Mode 2 tools" or Acheulean handaxes. The earliest Oldowan sites in Eurasia are 2.0 mya at Renzidong (Anhui Province China), Longgupo (Sichuan Province) and Riwat (on the Potwar Plateau in Pakistan), and the latest so far is at Isampur, 1 mya in the Hungsi valley of India. Some discussion of the stone tools found at Liang Bua Cave in Indonesia suggests that they are Oldowan; which either lends support to the notion that the Flores hominin is a devolved Homo erectus or that the Oldowan tools were not specific to species. What Is an Oldowan Assemblage? The Leakeys described the stone tools at Olduvai as cores in the shapes of polyhedrons, discoids, and spheroids; as heavy and light duty scrapers (sometimes called nucléus racloirs or rostro carénés in the scientific literature); and as choppers and retouched flakes. Selection for raw material sources can be seen in Oldowan by about 2 mya, at sites like Lokalalei and Melka Kunture in Africa and Gran Dolina in Spain. Some of that is surely related to characteristics of the stone and what the hominid planned to use it for: if you have a choice between basalt and obsidian, you'd select basalt as a percussion tool, but obsidian to break down into sharp-edged flakes. Why Did They Make Tools at All? The purpose of the tools is somewhat in controversy. Some scholars are inclined to think that most of the tools are simply steps in manufacturing sharp-edged flakes for cutting. The stone-tool making process is known as chaîne opératoire in archaeological circles. Others are less convinced. 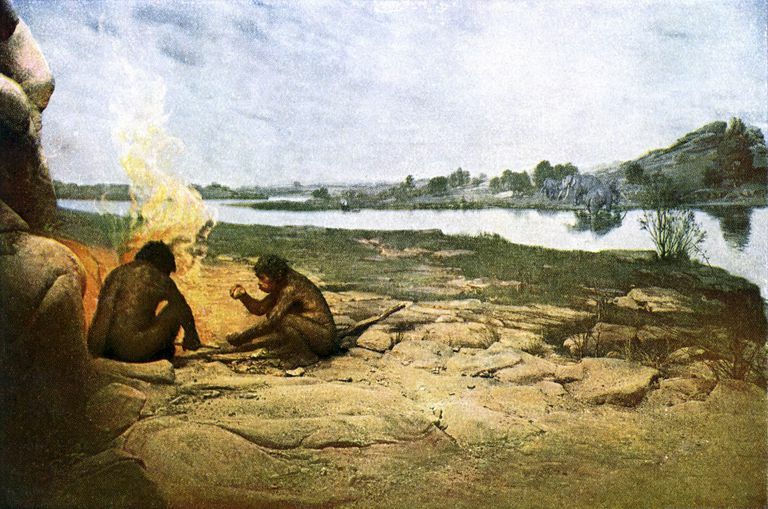 There is no evidence that our hominid ancestors were eating meat before about 2 mya, so these scholars suggest that the stone tools must have been for use with plants, and the percussion tools and scrapers may have been tools for plant processing. Admittedly, however, it's hard to make assumptions on negative evidence: the oldest Homo remains we have only date to 2.33 mya in the Nachukui Formation of West Turkana in Kenya, and we don't know if there are earlier fossils we haven't found yet that will be associated with Oldowan, and it may be that Oldowan tools were invented and used by another non-Homo species. The Leakeys' work in Olduvai Gorge in the 1970s was quite revolutionary by any standards. They defined the original chronology of the Oldowan assemblage in the Great Rift Valley of eastern Africa including the following periods; the stratigraphy within the region; and the material culture, the characteristics of the stone tools themselves. The Leakeys also focused on geological studies of the paleo-landscape of the Olduvai Gorge and its changes over time. In the 1980s, Glynn Isaac and his team worked at the more-or-less contemporaneous deposits at Koobi Fora, where they used experimental archaeology, ethnographic analogy, and primatology to explain the Oldowan archaeological record. They developed testable hypotheses about ecological and economic conditions that might have triggered stone tool making—hunting, food sharing, and occupying a home base, all of which is also done by primates, with the exception of the production of sharp-edged tools. Recent expansions to the interpretations built by the Leakeys and Isaac have involved adjustments to the time span of use: discoveries at sites such as Gona have pushed the date of the first tools a half-million years earlier from what the Leakeys found at Olduvai. Also, scholars have recognized a considerable variability within the assemblages; and the extent of the Oldowan tool use throughout the globe has become recognized. Some scholars have looked at the variation in stone tools and argued that there must have been a Mode 0, that Oldowan is the result of a gradual evolution from a common tool-making ancestor of both humans and chimps, and that phase is missing in the archaeological record. That has some merit, because Mode 0 tools may have been made of bone or wood. Not everyone agrees with this, and, currently, it seems that the 2.6 mya assemblage at Gona still represents the earliest stages of lithic production. I highly recommended Braun and Hovers 2009 (and the rest of the articles in their book Interdisciplinary Approaches to the Oldowan) for a good overview of current thinking about Oldowan. Barsky D. 2009. An Overview of Some African and Eurasian Oldowan Sites: Evaluation of Hominin Cognition Levels, Technological Advancement and Adaptive Skill. In: Hovers E, and Braun DR, editors. Interdisciplinary Approaches to the Oldowan. Dordrecht: Springer Netherlands. p 39-48. Braun DR, and Hovers E. 2009. Introduction: Current issues in Oldowan research. In: Hovers E, and Braun DR, editors. Interdisciplinary Approaches to the Oldowan. Dordrecht: Springer Netherlands. p 1-14. Braun DR, Tactikos JC, Ferraro JV, and Harris JWK. 2006. Archaeological inference and Oldowan behavior. Journal of Human Evolution 51:106-108. Carbonell E, Sala R, Barsky D, and Celiberti V. 2009. From Homogeneity to Multiplicity: A New Approach to the Study of Archaic Stone Tools. In: Hovers E, and Braun DR, editors. Interdisciplinary Approaches to the Oldowan. Dordrecht: Springer Netherlands. p 25-37. Harmand S. 2009. Variability in Raw Material Selectivity at the Late Pliocene sites of Lokalalei, West Turkana, Kenya. In: Hovers E, and Braun DR, editors.Interdisciplinary Approaches to the Oldowan. Dordrecht: Springer Netherlands. p 85-97. Harmand S. 2009. Raw Materials and Techno-Economic Behaviors at Oldowan and Acheulean Sites in the West Turkana Region, Kenya. Lithic Materials and Paleolithic Societies: Wiley-Blackwell. p 1-14. McHenry LJ, Njau JK, de la Torre I, and Pante MC. 2016. Geochemical “fingerprints” for Olduvai Gorge Bed II tuffs and implications for the Oldowan–Acheulean transition. Quaternary Research 85(1):147-158. Petraglia MD, LaPorta P, and Paddayya K. 1999. The first Acheulian quarry in India: Stone tool manufacture, biface morphology, and behaviors. Journal of Anthropological Research 55:39-70. Semaw S, Rogers M, and Stout D. 2009. The Oldowan-Acheulian Transition: Is there a “Developed Oldowan” Artifact Tradition? In: Camps M, and Chauhan P, editors. Sourcebook of Paleolithic Transitions: Methods, Theories, and Interpretations. New York, NY: Springer New York. p 173-193.